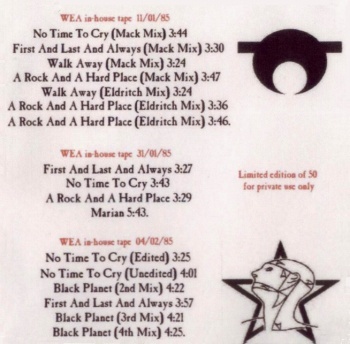 This bootleg CD contains alternative mixes for First And Last And Always album tracks. depicting Dante and Virgil on Hell's Ninth level by Gustave Doré. 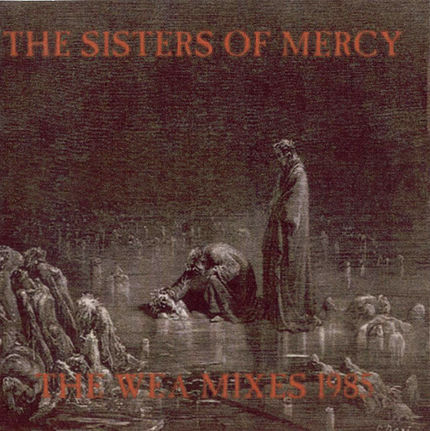 the cover art of The Sisters of Mercy's Body And Soul single. These tracks originate from the recently resurfaced two WEA in-house tapes & on 4 track promotional tape. as the 'Mack' mixes. All tracks differ to a certain degree with the subsequent releases. (C) 2004 WLR Studios - remastering & artwork concepting. All tracks come from WEA In-House Tapes. Recently a Greek bootleg-CD based on the above bootleg has surfaced. We do know nothing about the quality of that recording or about the CD used therefor.